February has come to the DMV, bringing with it icy-cold weather, a forecasting groundhog and, of course, romance! 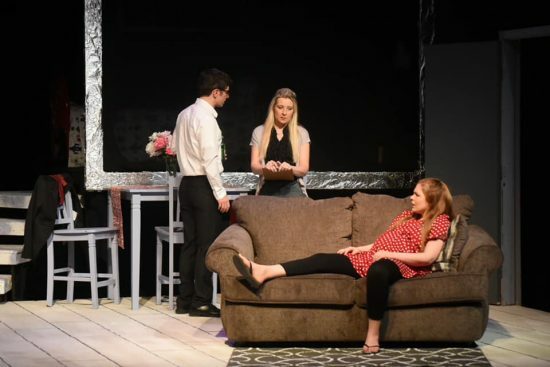 Valentine’s day is just around the corner, and with that, the Maryland Theatre Guide wants to share with our readers 10 recommendations for romantic shows to enjoy for this holiday of the heart. The story of “She Loves Me” is a familiar one; it is the basis for both the 1940 film “The Shop Around the Corner,” and later the 1998 film “You’ve Got Mail” with Tom Hanks and Meg Ryan. This version is set in Budapest in 1934. Georg is a clerk at a perfume shop who can’t stand the new female clerk, Amalia. However, what they don’t realize is that they are actually corresponding with each other as anonymous pen pals… and are falling for each other. Will they figure out that they secretly like each other? Will their dislike in person overwhelm the intimacy they have found as strangers? This musical is full of delightful music and romance, and is perfect for a Valentine’s date. More Info. This one is also a musical adaptation of a film, from the 2007 movie of the same name. The most well-known song, “Falling Slowly,” won the Academy Award for best song that year. The show starts with a man (just known as Guy) playing a sad song on his guitar in a pub in Dublin. He is struggling with a break-up, and has funneled his feelings into his music. At this pub, he meets a young Czech woman (identified only as Girl), who is also a musician. They embark on a journey, both musical and romantic, to find fulfillment. As they get to know each other better, their relationship becomes more complicated as they fall for one another. Will love be enough? More Info. 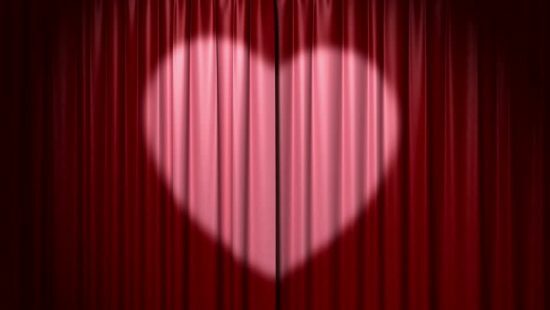 This musical comedy has at the center of it one of the most frightening parts of dating- a blind date. If a good match, it can be the beginning of a beautiful relationship. However, if it’s bad, it can be a true disaster. This date is with Aaron, a self-professed “blind-date virgin,” and the lovely Casey, who is no stranger to blind dates. One of the funniest aspects is that they don’t seem to be alone on this date- several people in their lives make imaginary appearances. Will this blind date end in a love connection? Or mutual embarrassment? More Info. This musical shares its narrative with the 1996 Robin Williams/Nathan Lane comedy “The Birdcage.” There are actually two love stories on display here; the long-term love of club owner Georges and performer Albin, as well as Georges son Jean-Michel, who is bringing his new fiancée to meet his father for the first time. There is a slight problem though- Anne wants to bring her family and her father is a politician with an extremely conservative party. As a result, Jean-Michel asks his father to “act straight” and to downplay the drag-related aspects of his business. This throws Georges’ life into disarray, as Albin is incredibly hurt and feels that he is being erased from his family. This show demonstrates not just romantic relationships, but also the complexity of familial love, both biological and adopted. It celebrates love in all its forms- perfect for Valentine’s Day! More Info. Chess was composed by musical royalty; Benny Andersson and Björn Ulvaeus of the supergroup ABBA, and Tim Rice, who is best known for his lyrical work on Disney renaissance films Aladdin, Beauty and the Beast, and the Lion King, as well as Andrew Lloyd Webber musicals Evita, Jesus Christ Superstar, and Joseph… Chess tells the story of a politically motivated chess match during the Cold War, featuring an American (Freddy Trumper) and a Russian (Anatoly Sergievsky.) Florence Vassey accompanies Freddy to act as his second and manager, but finds herself drawn to the (married) Russian. The complicated relationships that result are compelling, and stretch the boundaries of love and country. More Info. Love isn’t always easy; quite frequently it is precisely the opposite. This is the case in the story of Nell Gwynn, a real woman during England’s Restoration period. Nell was a notable woman, not only because she was one of the earliest female actors, but also because she went on to become the mistress of King Charles II. Seen as a sort of Cinderella figure by many, her story has become like a folk legend. Laid out in the Folger’s beautiful Elizabethan Theatre, Nell’s story of desire and ambition is a historical love story to enjoy this Valentine’s day. More Info. This story is one that might be familiar; the brilliant, but homely Cyrano loves the beautiful Roxane, but feels he is unworthy of her love since he is not traditionally handsome. As a result, he decides to use his intoxicating words to help his friend Christian woo Roxane instead, since he is also taken with her. As is predictable, things get messy as Roxane falls for Cyrano’s words, but Christian’s face. Who will she choose? 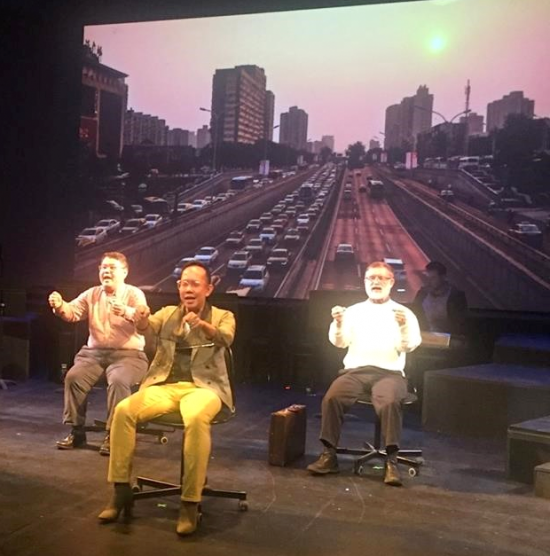 This story is particularly interesting as Synetic Theater is telling the story without using any words, and using only movement to convey the meaning. If you’re looking for a show that is equally romantic and avant-garde, this is the one for you. More Info. Over the past few years, Michael Feinstein has been compiling what he calls the “Great American Songbook.” This Valentine’s-day-only performance features songs from songbook that combine romance and comedy, showing the lighter side of love. The music of Rodgers and Hart, Cole Porter, Tom Lehrer, Irving Berlin, Harold Arlen, and others will be on display with accompaniment by Barbara Twigg on the Steinway. Not only do you get a delightfully romantic performance, but champagne, hors d’oeuvres, an open bar, and a special Valentine’s Day buffet dinner before the show is also included in the ticket price. More Info. Veronneau is made up of French-Canadian songstress Lynn Veronneau and her quartet, who specialize in an eclectic mix of bossa nova, jazz, and samba performed in English, French, Spanish, and Portuguese. They will also be joined by special guests percussionist Bruno Lucini and Violinist Dave Kline, and are planning a set list to speak to the spirit of the day. In addition to the normal food and drink offered by AMP, they will also have a special Valentine’s day menu. If music be the food of love, play on! More Info. The National Ballet of China comes to the Kennedy Center’s Opera House with its award winning production of “Raise the Red Lantern.” This piece, which received its Washington DC premier in 2005, as a part of the Festival of China, will be performed with the full Opera House orchestra as well as several guest musicians. This ballet is based on the 1991 film and tells the beautifully tragic story of a young girl sold by her mother to become a concubine. What follows is a tale of love, jealously, and tragedy brought to life with traditional Chinese outfits, mesmerizing melodies, elements of Chinese opera and even some use of shadow puppet theater. More Info. Kristin Franco has a bachelor's degree in English from Penn State University and a master's degree in Literary and Cultural Studies from Carnegie Mellon University. She currently works with the Fulbright Visiting Scholars program at the Institute of International Education in Washington D.C. She developed an intense love of theater at age 4, when she saw her first live production of "Annie" and never looked back. In her spare time, she enjoys reading, watching British TV, listening to murder podcasts (SSDGM) and singing into her hairbrush.